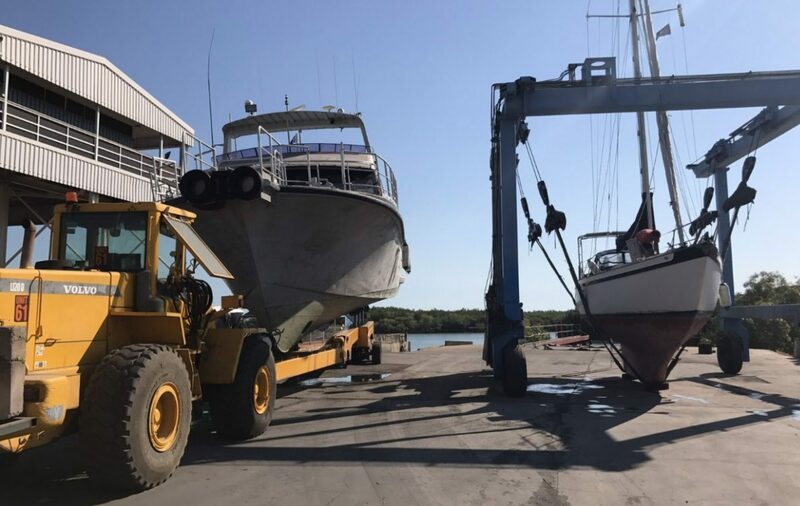 Roodberg’s slipway trailers have been designed in such a way that you can use them to get boats of various sizes and weights in and out of the water and transport them to and from the pilot or storage place. The trailers are U-shaped and of high quality, low maintenance construction. You can adjust the width and height with the hydraulic system of the towing vehicle. This may be a fork-lift truck, but also a tractor, push dozer or telescopic handler. 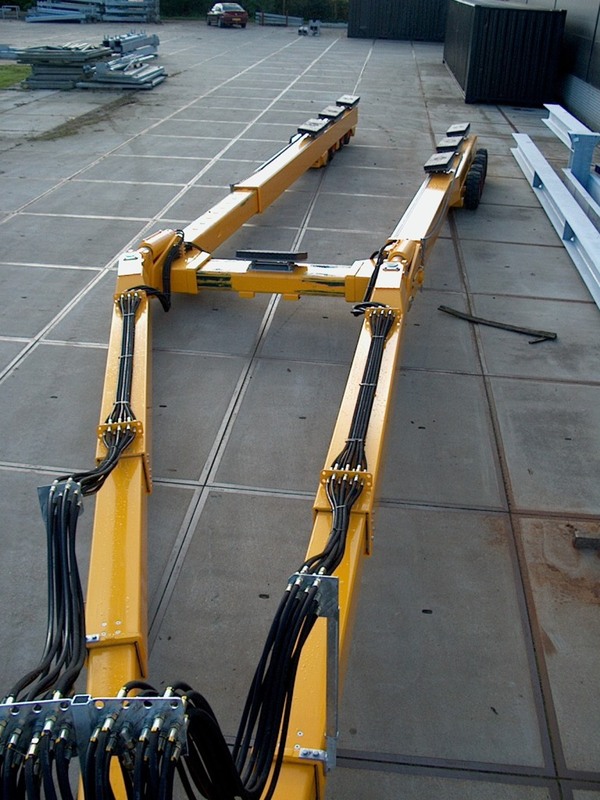 The self-propelled slipway trailers have their own hydraulic and control systems. The lift cylinders of the trailers are ‘home-made’ and have controlled swing type check valves for optimum safety. The suspension frame, whose height is adjustable and which has drying cushions, seamlessly encloses the hull of the ship and ensures secure stability under any conditions. Using the shaft, whose length is adjustable, you can transport boats of various lengths.